The domestication of pets may seem a relatively recent advancement, but the truth is that doggos and kitcats have been BFFs with humans for a very, very long time. 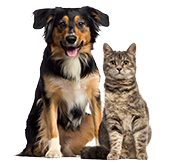 In fact, some of the earliest recorded instances of companion pets date back to over 10,000 years ago. Along the way, lots of regular folks have been the proud owners of Spot and Scruffy, but there’ve also been pretty notable pet parents, too. 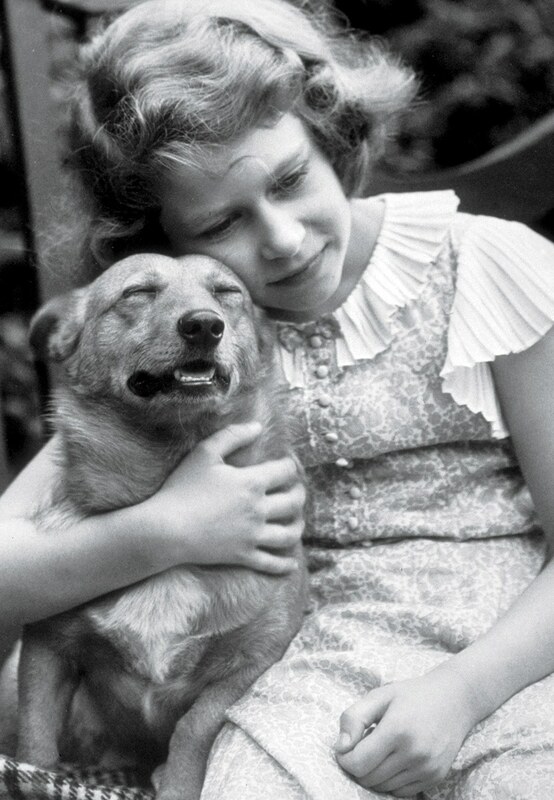 Here are some of the beloved pets of royals throughout history. If you’re pretty familiar with Queen Elizabeth II (the current Queen of England), then you may already know that she’s very fond of corgis. That may be putting it lightly, as the Queen has owned roughly 30 of them over her lifetime. It’s hard to choose just one to feature, but we think Dookie is a fine pick considering two facts. First, he was a gift from her dear father, King George VI. Second, he was her very first corgi. King George VI brought Dookie home in 1933 to the 10-year-old, and her and her sister, Princess Margaret, quickly fell in love. The rest is Royal Corgi history. 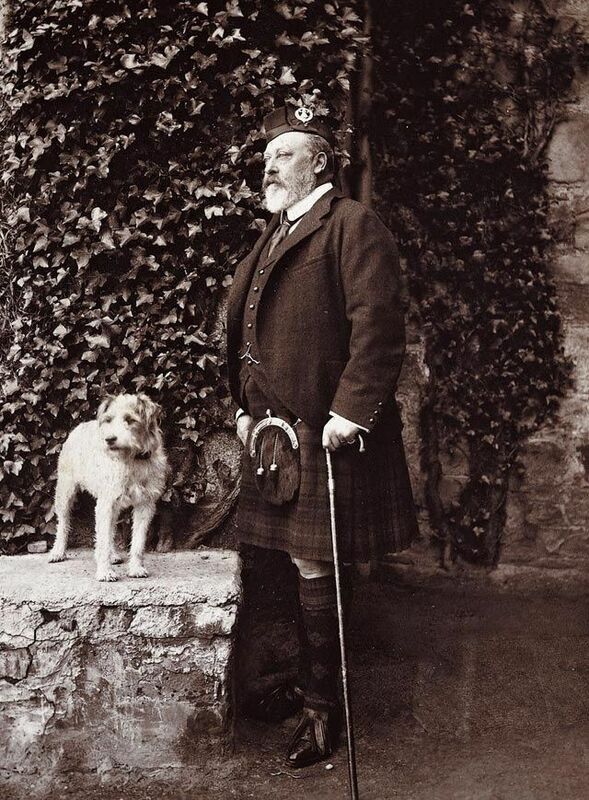 King Edward VII and his wild fox terrier, Caesar or Notts, were inseparable. They’d take trips together, go on strolls, and sleep next to each other. And just in case the two did end up apart from each other, Caesar’s tag, which read, “I am Caesar. I belong to the King” ensured they wouldn’t be separated for long. When King Edward VII passed, Caesar was understandably distraught. At first, he was reluctant to eat and became sullen and withdrawn, though he did walk alongside the casket during the king’s funeral procession. After, the Queen took Caesar under her wing and spoiled him dutifully until he passed away in 1914. If there’s anyone we can credit for popularizing toy poodles and associating them with luxury and royalty, it’s King Louis XIV. 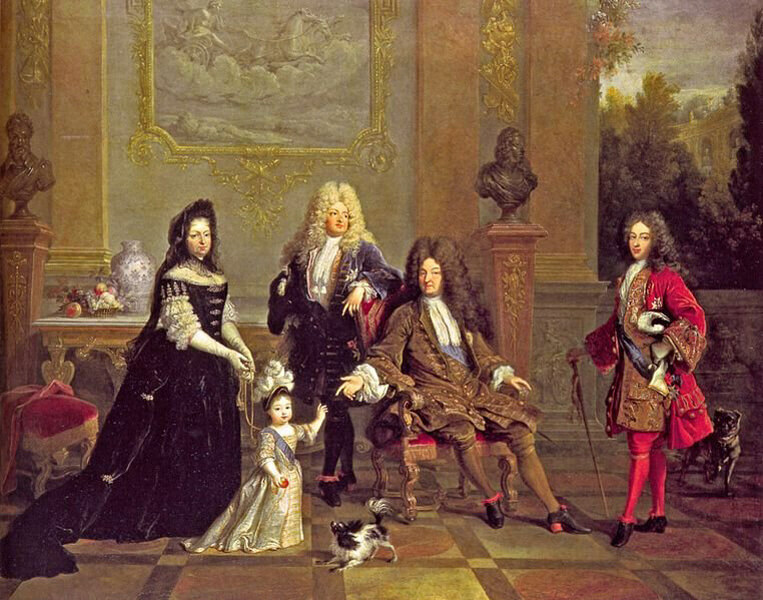 The French “Sun King,” who’s also credited for the creation of Versailles, was the proud master of a toy poodle named Filou, which means “trickster” or “rascal” in French. Filou wasn’t King Louis XIV’s only toy poodle, but he was one of the King’s first toy poodles and is considered one of his favorites. Marie Antoinette famously owned a number of different pups, including a pug named Mops and, later, a spaniel she called Thisbe. 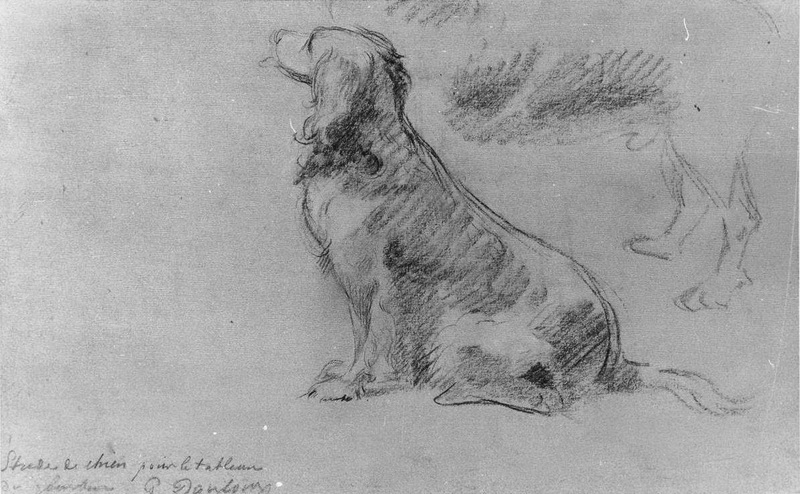 Like many dogs, Thisbe was exceptionally devout and kept the queen, along with her husband Louis XVI and their children, company while they were locked up in the Temple awaiting punishment. The pup stayed by her side when Louis XVI was beheaded and when her children were taken from her, but they became separated when she was relocated to the Conciergerie. During this separation, Thisbe somehow found the door where the Queen was kept and stayed there as long as he could. Eventually, a kind citizen took Thisbe in, but he escaped and went back to Marie Antoinette where he remained until her own beheading. We’ve talked a lot about royal canines, but let’s switch gears for a second to talk about a very noble feline. 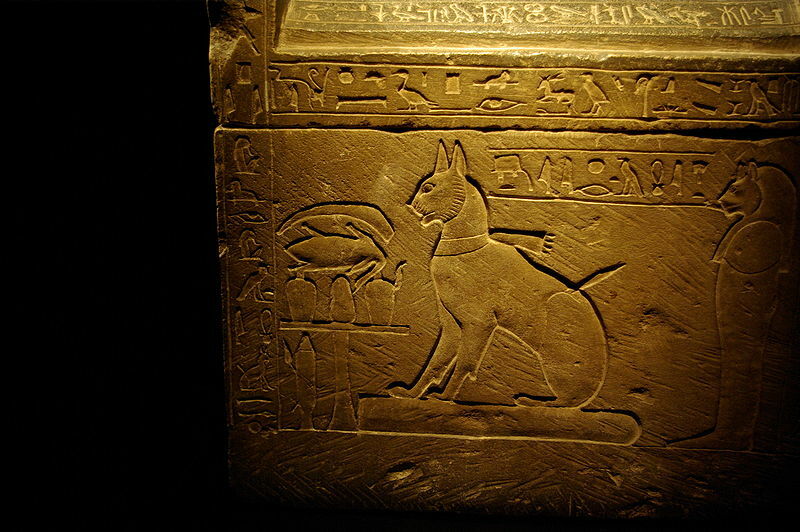 Ta-Miu was a beloved cat owned by Egypt’s Crown Prince Thutmose during the 15th century BC. Prince Thutmose was the oldest son of Pharaoh Amenhotep III and Queen Tiye, and the Thutmosid Dynasty is named after him. We don’t know much about Ta-Miu’s life, except that she was clearly loved by her owner and was given a lavish burial. In fact, she was mummified and buried in a decorated sarcophagus. 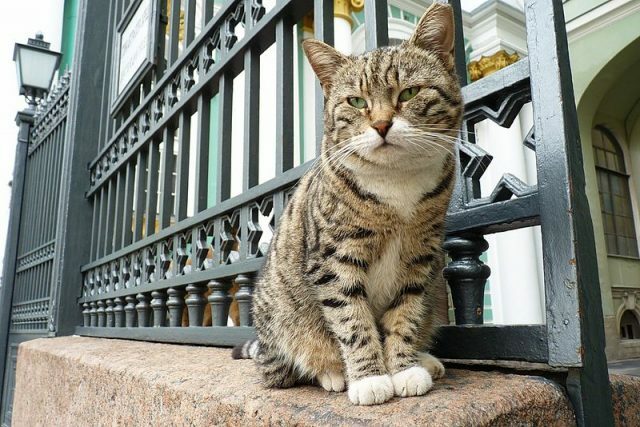 Like some of the other royals we’ve featured here, Russia’s Catherine the Great owned a number of pets — cats, specifically — throughout her lifetime. Over her lifetime, she kept two large cat colonies at the Winter Palace in St. Petersburg, and she particularly liked Russian Blues. She was such a devout cat lover that she even accepted a beautiful Angora feline — which she referred to as “the cat of all cats” with “velvety paws” — as a repayment gift from Prince Grigory Potempkin for her Sévres Cameo Service. The service itself was valued at $40 million in today’s money, but the cat was clearly priceless. Royal or not, we know you love your fur prince or princess to pieces! We’d love for you to share a picture with us on Instagram by tagging #gohealthypaws. And if you aren’t already a pet parent with us, look into getting a free quote to help safeguard not just your special fur friend, but your wallet too.